A state map shows areas that have imposed water use restrictions as a result of the ongoing drought. "I have heard a few reports of very shallow dug wells that have gone dry that have needed to be replaced, but we're really nowhere near where we were at this time in 2016,” Fopiano says. Still, officials want people to try to conserve water. They say it’s affecting some farmers’ summer growing season and fall planting schedule, forcing some hydroelectric dams to shut down, and causing record low flows in some streams. Some local water systems already have restrictions in place on outdoor water use. Whole towns and cities could follow suit. State water conservation manager Stacey Herbold says years of repeated drought may feel routine, but that's no reason to be wasteful. “People are hearing the message more often, and the hope is that people will be more careful about how much they're using,” Herbold says. “The one thing we have to be careful about, though, is that people don't become numb to the message." State scientists say overall, climate change should make the Northeast wetter, not drier. But they say the region's patchy groundwater supplies are more at risk from a short-term lack of rain than larger, deeper aquifers in the West. 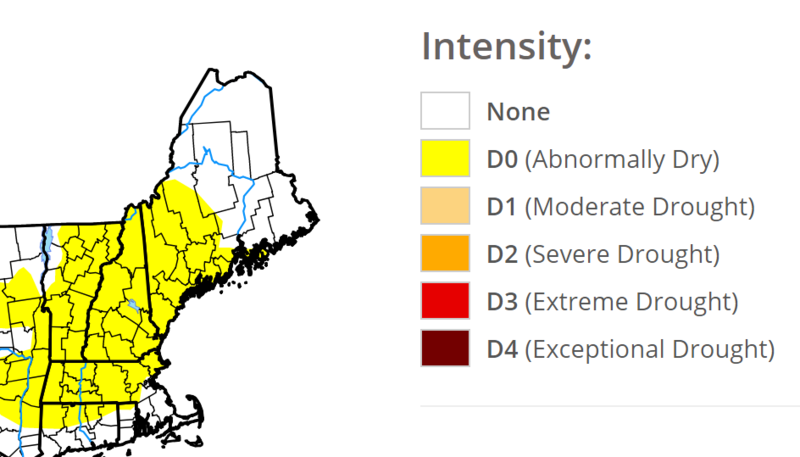 Nearly half of New Hampshire is officially in a drought, with the whole state experiencing unusual dryness – and forecasts predict more serious, statewide drought by mid-fall. It’s prompted state regulators to recommend limiting outdoor water use until conditions improve. Despite a bout of heavy rain last month, the state is getting dryer. All of Merrimack, Sullivan, Strafford and Belknap Counties are now in moderate drought, along with parts of Northern and Southern New Hampshire. 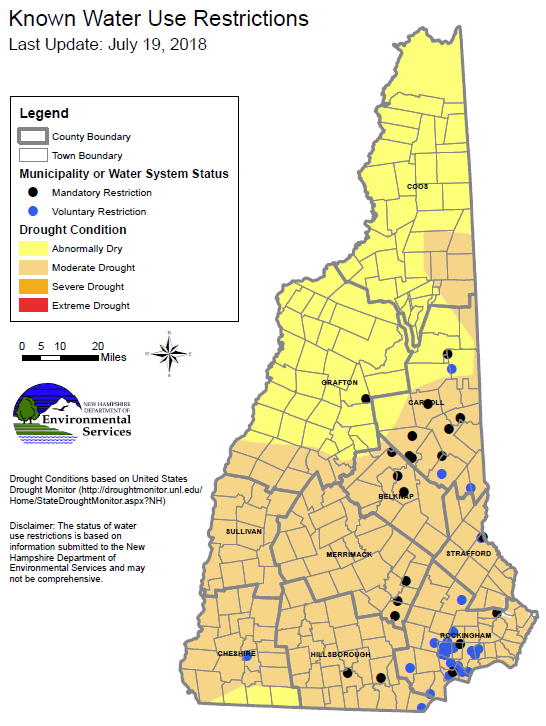 Despite some recent rain, New Hampshire is currently classified as "abnormally dry" by the National Drought Mitigation Center. 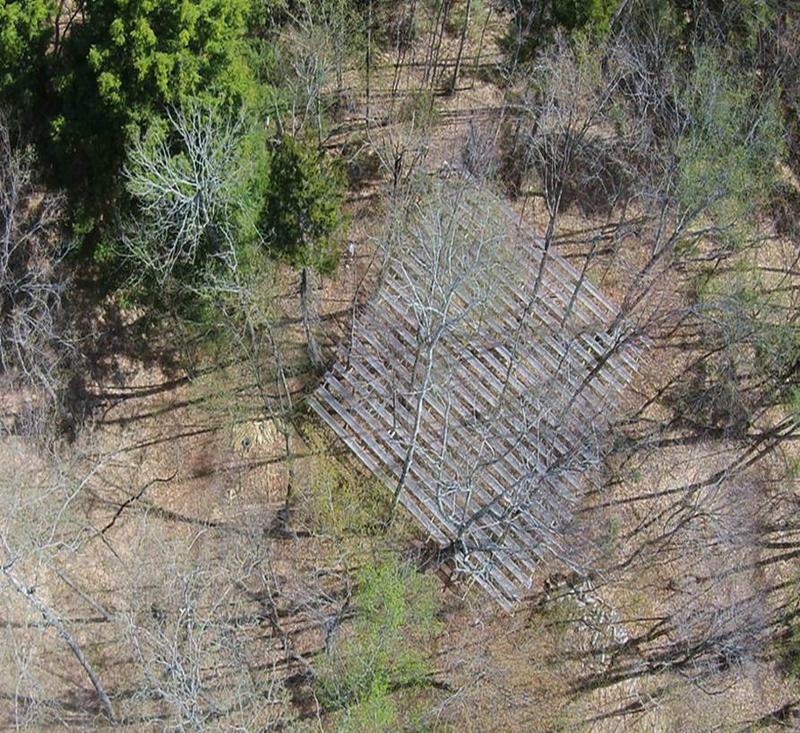 The lack of rainfall has forced many New Hampshire farmers to turn to irrigation. "We've spent a lot of money. It's a huge pain in the neck," says Chuck Souther, owner of Apple Hill Farm in Concord, who had to irrigate this year's strawberry crop. "We're much happier when rain falls out of the sky." If the dry period doesn't let up, Souther and other farmers say their apples, pumpkins, and even next year's berry crops could be affected.